Dr. Julie Shimer has served on the Board of Directors of Netgear since 2007, where she is lead director. In 2013, in addition to joining IGE's Board, she also joined the Board of Directors of Earthlink and Wycliffe USA. She retired in 2012 from Welch Allyn where she held the roles of both chief executive officer and chief innovation officer. Welch Allyn is a $700M revenue global manufacturer of medical equipment. During her tenure there, the company implemented strategic planning processes, exited non-strategic businesses, acquired new businesses, completed a $30 million expansion of headquarters building, and grew revenue and profitability to record levels. From 2001 – 2007 Dr. Shimer was CEO of Vocera Communications, a wireless communications company headquartered in San Jose, CA. Under her leadership, the company raised $30M in venture funding, launched the first product and achieved a run rate of $52M in annual revenue. Dr. Shimer has also held the roles of vice president and general manager of 3Com Corporation’s networking products division (2000–2001) and Motorola, Inc.’s paging division (1993–1999). She is a former vice president of the semiconductor products sector of Motorola and held positions at noteworthy businesses such as AT&T Bell Laboratories and Bethlehem Steel Company. Dr. Shimer was issued a United States patent and is the author of ten technical papers. 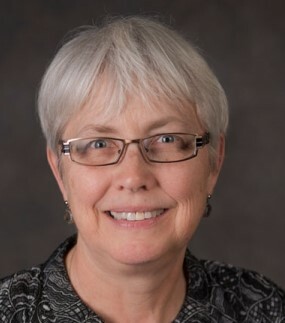 Dr. Shimer’s previous board experience includes the Engineering Information Foundation (1999 – Present), Mission Aviation Fellowship (2001 – 2010), Vocera Communications (2001 – 2007), Welch Allyn (2002 – 2012), and the Upstate New York Regional Advisory Board at the Federal Reserve Bank of New York (2009-2012). She served as non-executive chair of the Empire State Development Corporation (2011 – 2012), as a member of Department of Commerce Innovation Advisory Task Force (2011), Governor’s Task Force on Industry Higher Education Partnerships (2010), and National Medal of Technology Nomination Evaluation Committee (1996 – 2001). She is a senior member of the Society of Women Engineers, a member of the Institute of Electrical and Electronics Engineers, and a member of the National Association of Corporate Directors. Dr. Shimer has a B.S. in Physics from Rensselaer Polytechnic Institute and an M.S. and Ph.D. in Electrical Engineering from Lehigh University.